The Billboard 200 Chart saw ‘Bobby Tarantino II’, a new mix-tape by logic finish at No. 1. This is his second album to reach the pinnacle of the charts in less than a year. The recording studio Def Jam released the album on the 9th of March, as it went on to sell 32,000 traditional albums out of 119,000 units. The data was provided by Nielsen Music, and is of the week ending March 15th. Consumption calculate by using multiple metrics, is used to determine the ranking of the Billboard 200, which highlights the most popular ones in the United States on a weekly basis. Traditional albums are combined with streaming equivalent albums (SEAs) and track equivalent albums (TEAs) for the calculation. The streams had a big influence in taking ‘Bobby Tarantino II’ to No. 1, as the album has managed 82,000 SEA units in the weekly chart that ended on March 15. The TEA units stood at 5,000, as the rest were by traditional albums, numbering at 32,000 units sold. For reference, one SEA unit is equal to 1,500 on-demand audio streams. The last album by Logic to top the Billboard 200 was ‘Everybody’, with the effort debuting at No. 1 in the last week of May 2017. The album managed an impressive 196,000 traditional album sales, in a total of 247,000 units. It had a low figure in steaming numbers as compared to ‘Bobby Tarantino II’, despite having a greater overall figure than Logic’s latest release. 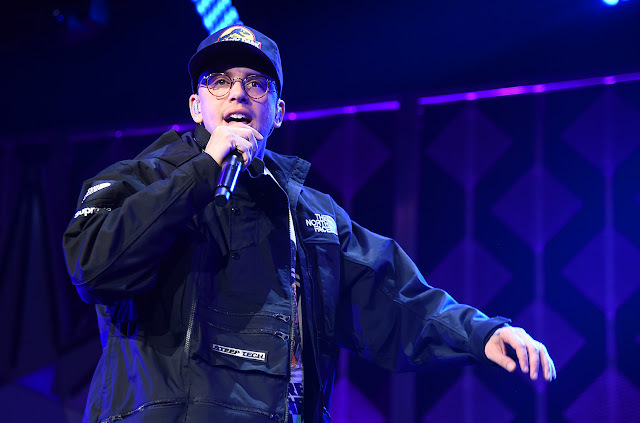 ‘1-800-273-8255’ by Logic featuring Alessia Cara and Khalid was part of ‘Everybody’, though it was released after the album had already debuted. The song could be attributed to an increase in Logic’s popularity, as it managed to feature in the top 10 of the Billboard Hot 100 Chart. The highest the song got was No. 3 on weekly chart ending on 30th Sept, and also earned him two Grammy nominations that included the song of the year. Thus, the greater streaming numbers to his newer album, can be pointed to an uplift in his reputation since the release of that song. Logic’s latest album is a sequel to ‘Bobby Tarantino’ which was released in 2016, and was No. 12 in its debut week, which is the highest it got in the Billboard 200. It sold 19,000 units during the week, which included 16,000 traditional album sales. Following Logic in the Billboard 200 is Lil Yachty, with his latest ‘Lil Boat 2’ debuting at No. 2 in the charts. It’s a personal best for the artist, as he notches his second album in the top 10. It’s also his best in terms of units earned, with a total of 64,000 out of which 7,000 are traditional album sales. Rounding off the top three is David Byrne with ‘American Utopia’ at No. 3, which is the highest rank the artist has achieved in the Billboard 200, as all of his 63,000 units recorded during the week, were traditional album sales. It is also his biggest sales week, according to Nielsen Music.